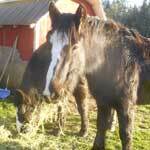 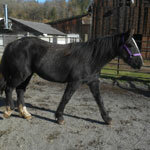 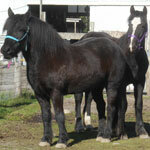 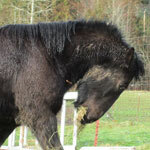 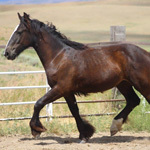 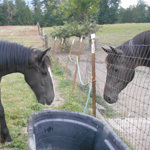 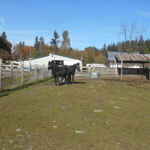 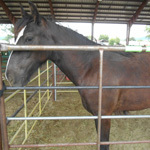 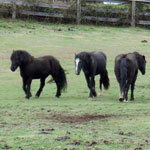 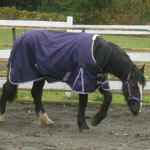 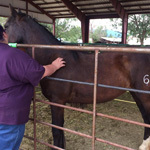 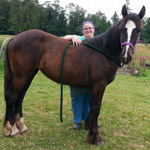 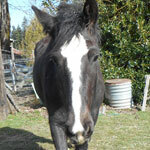 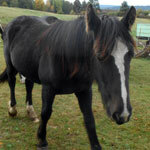 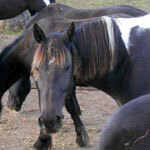 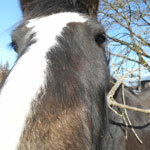 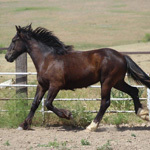 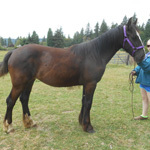 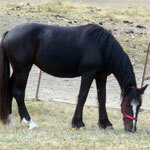 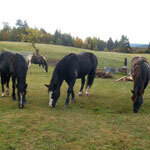 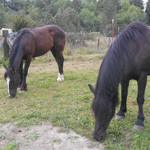 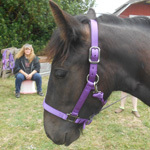 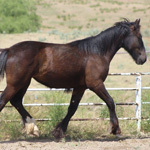 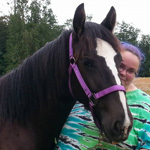 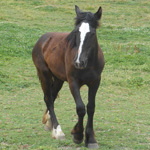 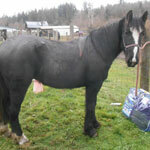 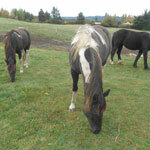 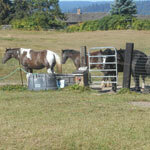 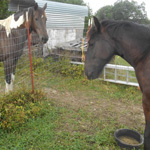 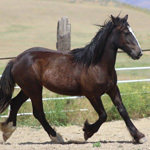 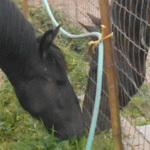 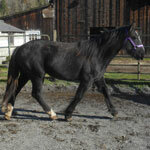 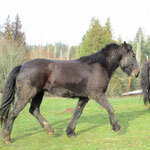 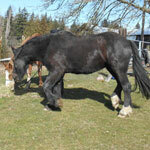 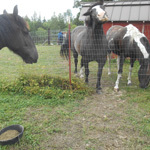 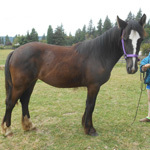 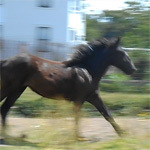 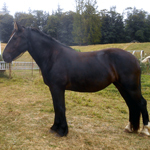 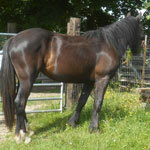 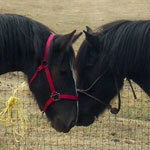 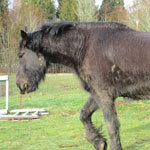 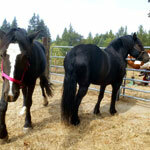 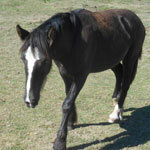 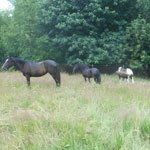 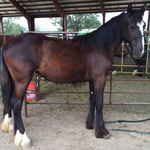 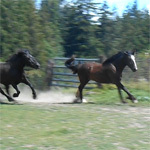 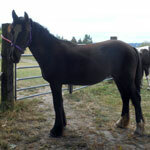 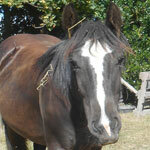 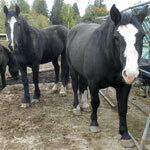 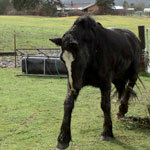 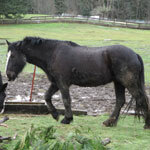 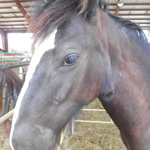 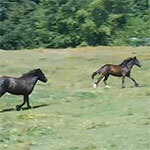 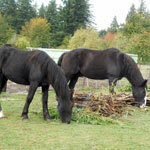 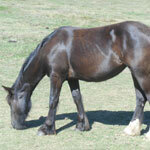 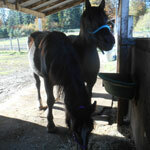 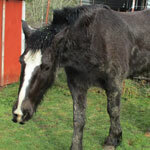 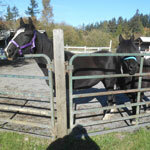 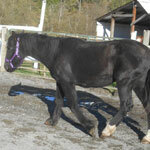 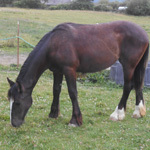 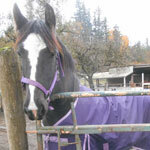 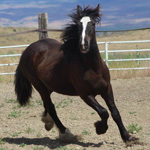 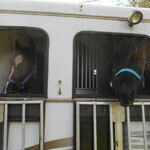 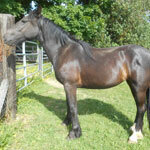 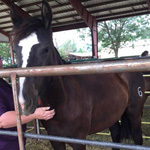 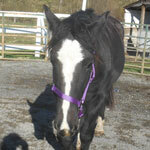 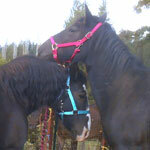 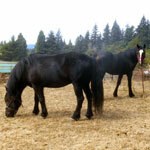 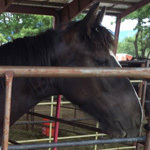 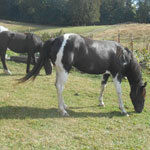 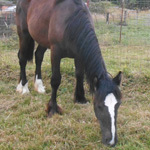 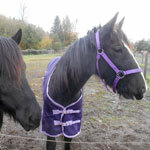 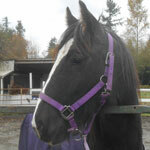 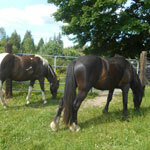 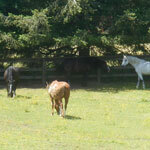 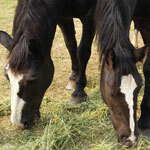 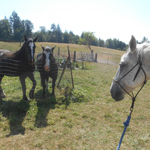 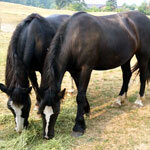 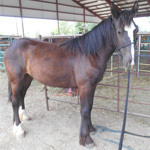 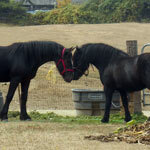 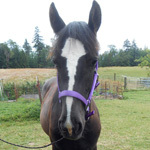 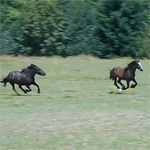 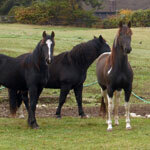 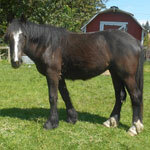 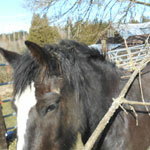 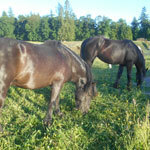 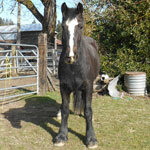 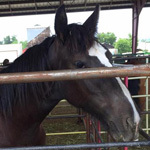 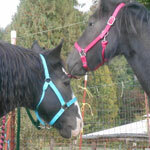 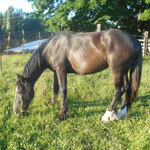 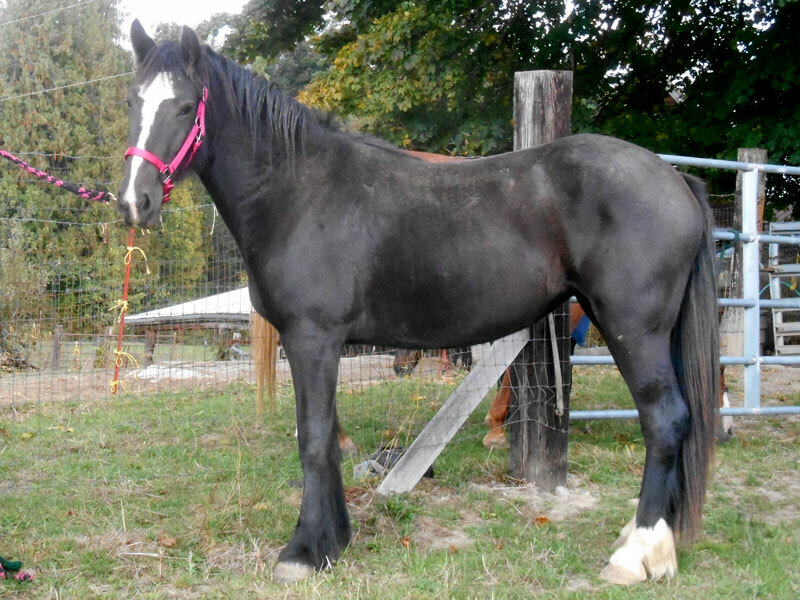 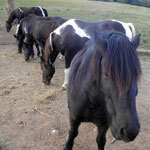 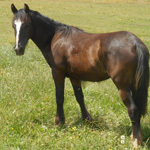 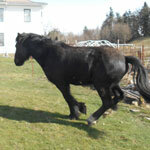 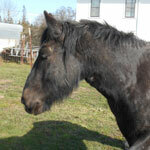 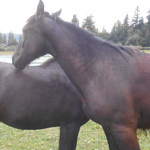 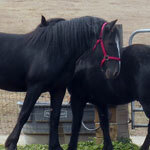 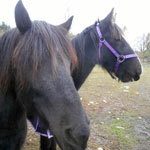 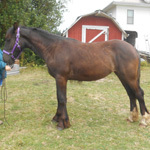 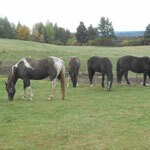 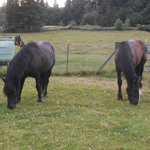 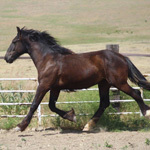 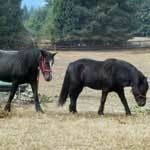 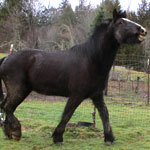 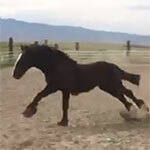 Shelta is 3 year old crossbred Gypsy filly. 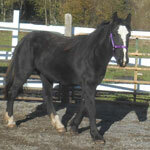 She is a quiet and calm girl who is starting take her place in the herd. 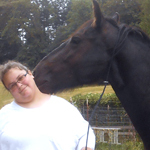 She loves humans and really trusts us. 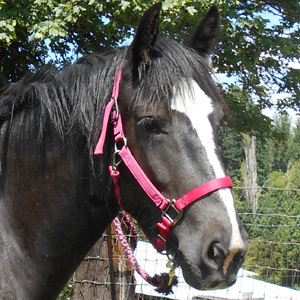 She has a whole lot of try without any hard "no" in her. 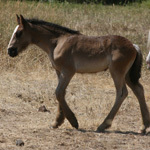 This filly should mature at about 15.3hh and probably around 1,500lbs. 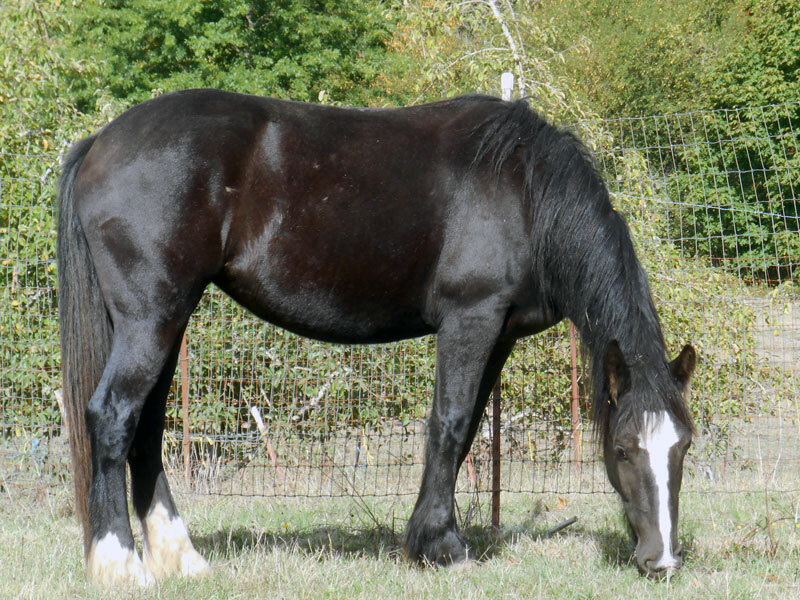 She is black, though of the fading kind. 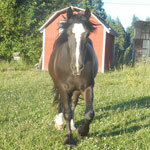 Shelta is to be my future horse, but that will be couple more years away. 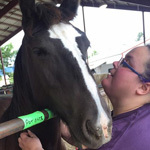 Over the next year she will finish up learning all the good equine citizen basics and then will go on to her saddle training. 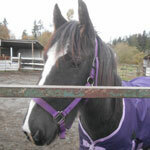 She has learned to go places, do things, and be around strange situations. 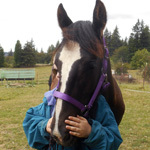 She has learned to tolerate and to accept the oddities of humans. 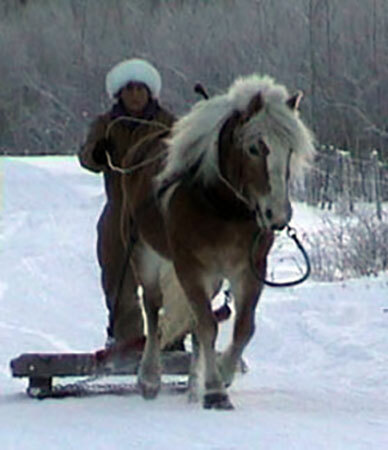 She will learn to ride, pack, drive and skid. 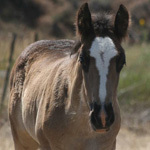 I plan on having this filly for the next 30 years or so and am determined to do things right with her. 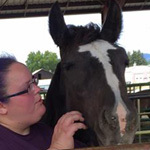 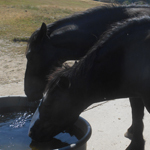 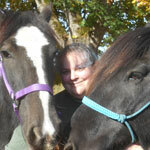 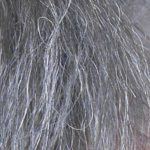 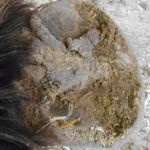 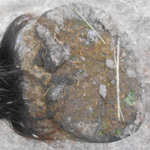 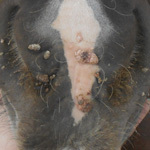 Shelta was born and raised on a southern Idaho farm called Happy Hollow Ranch. 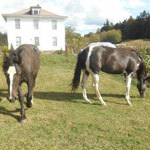 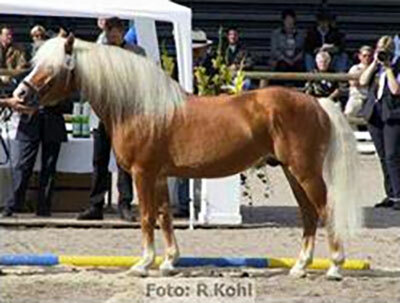 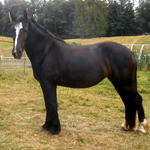 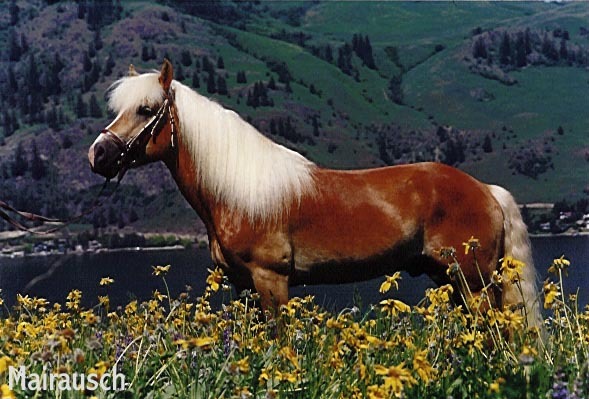 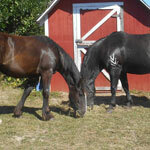 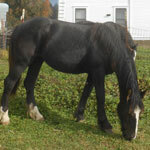 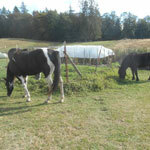 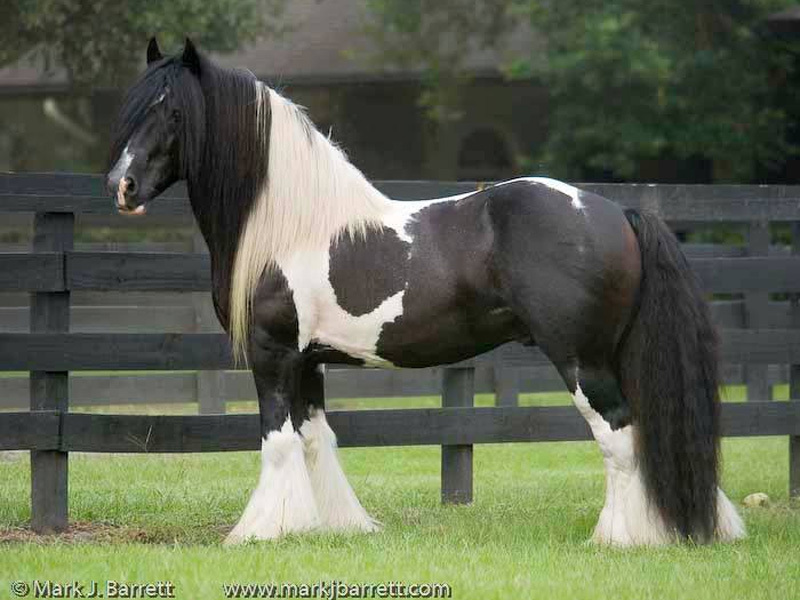 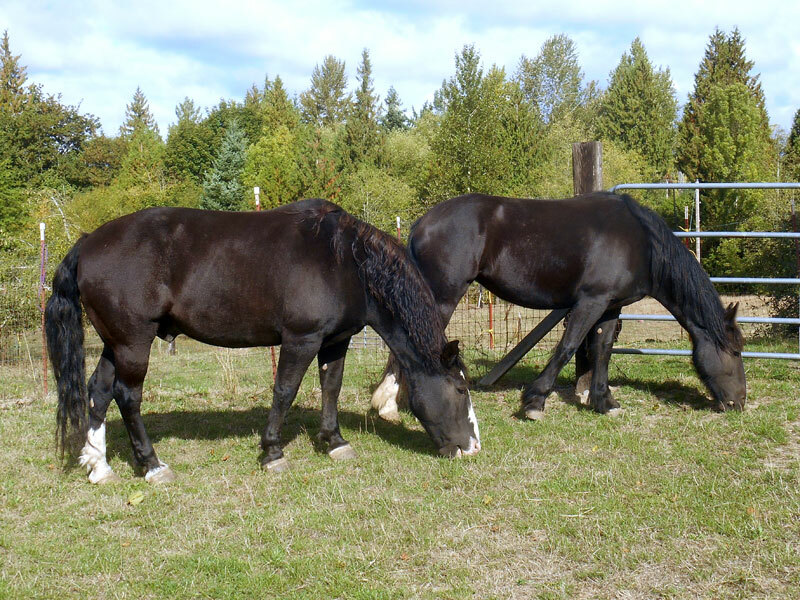 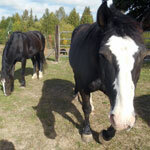 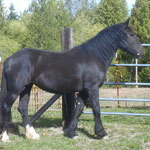 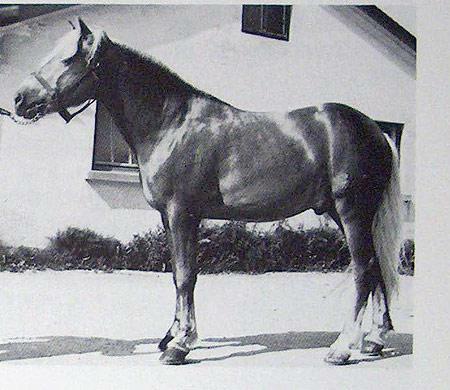 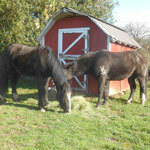 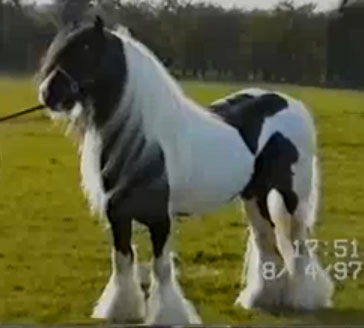 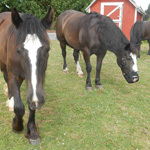 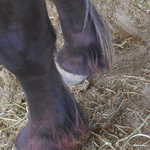 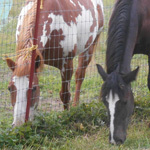 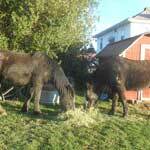 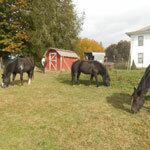 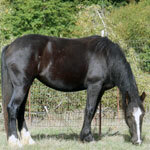 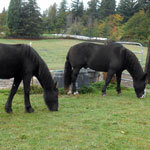 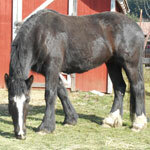 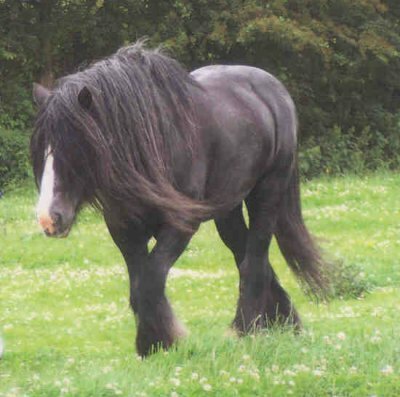 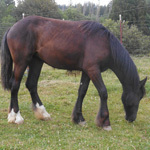 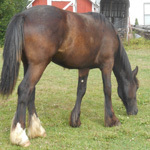 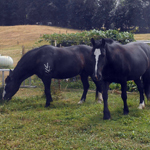 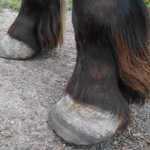 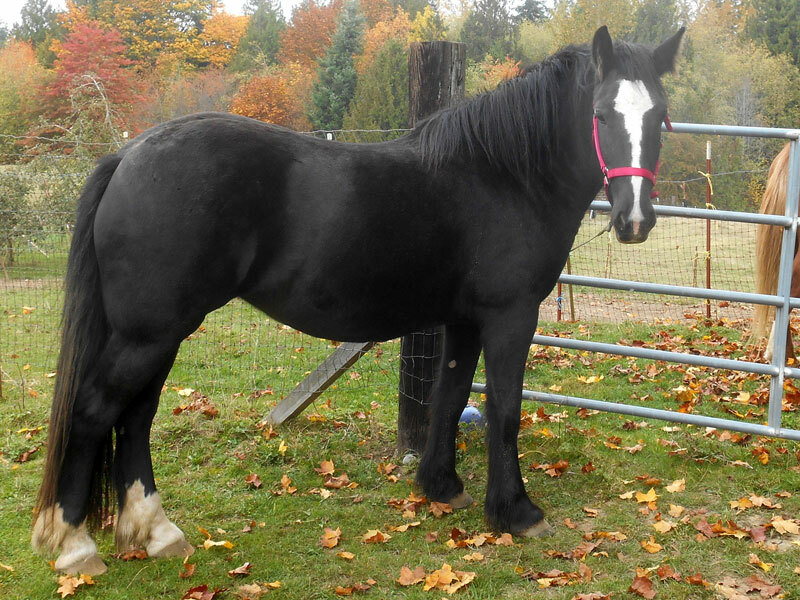 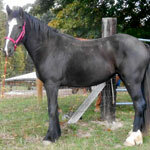 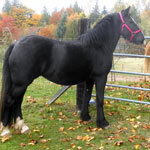 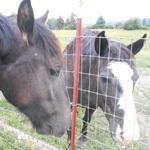 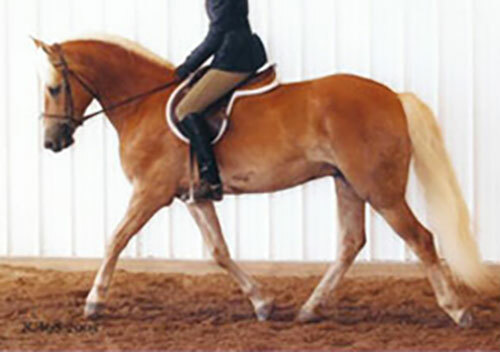 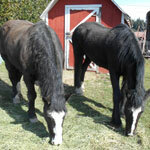 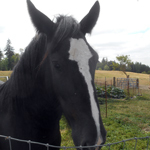 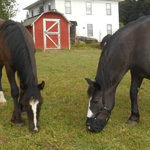 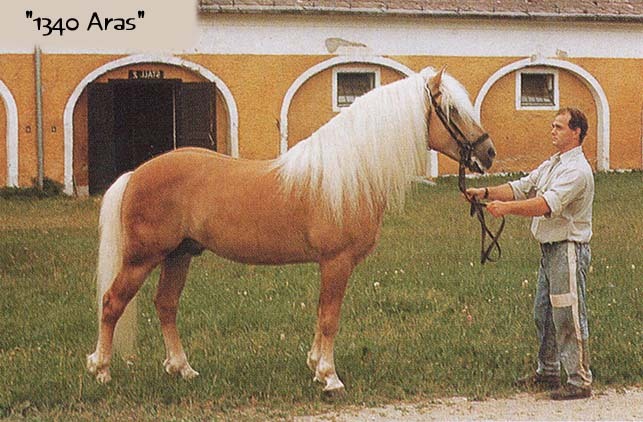 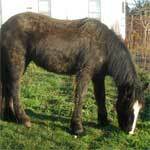 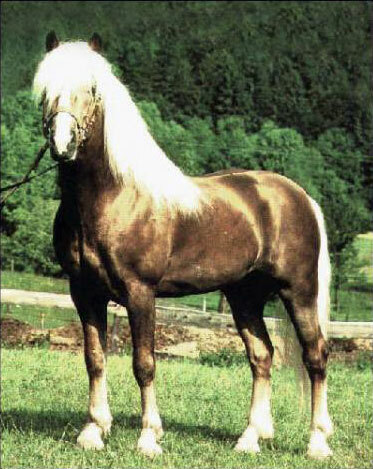 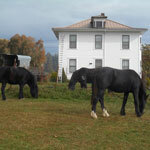 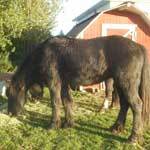 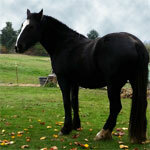 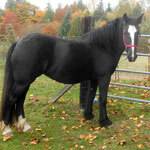 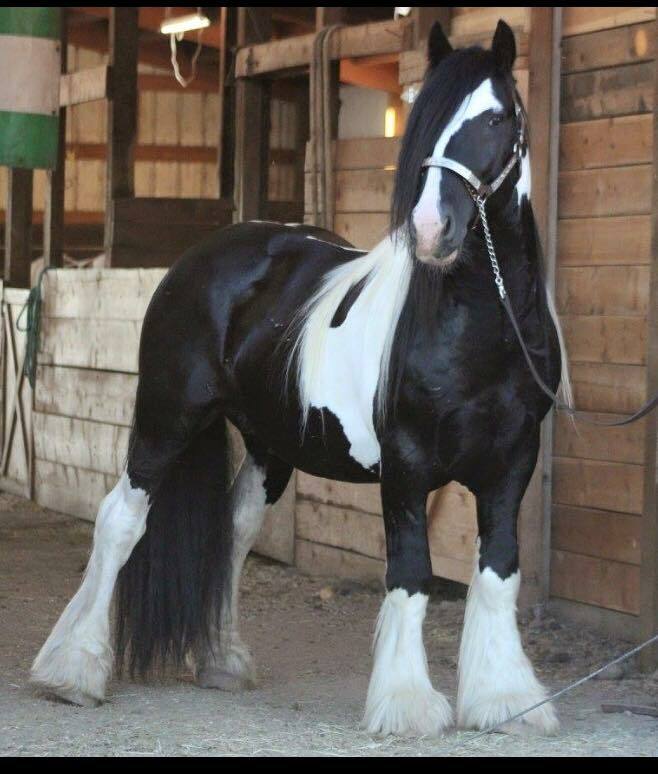 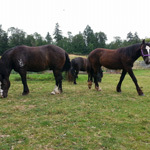 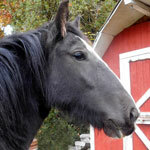 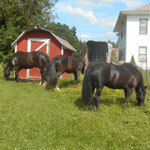 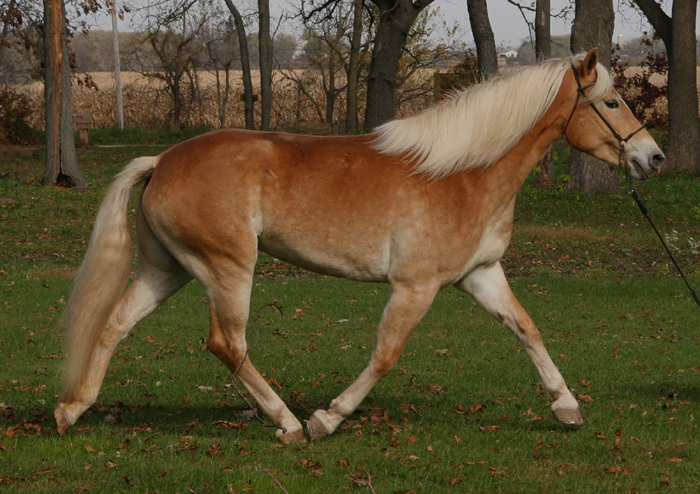 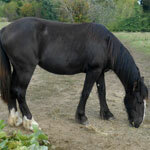 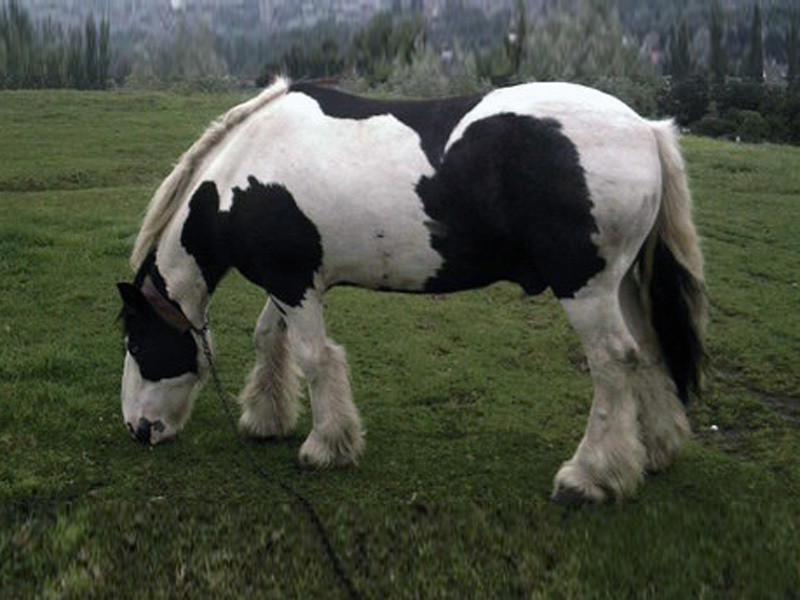 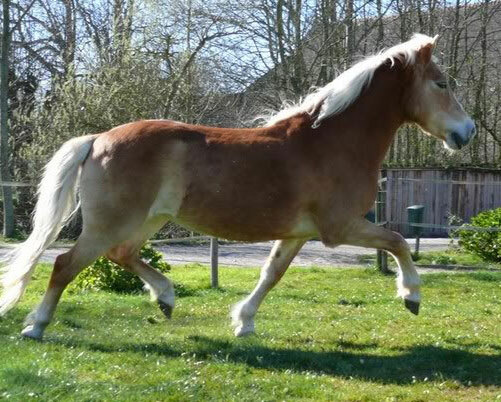 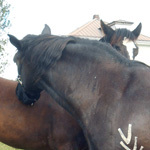 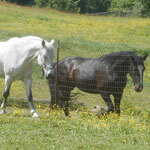 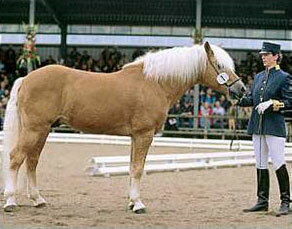 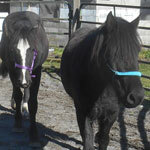 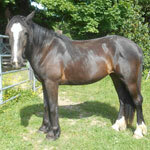 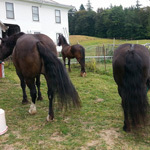 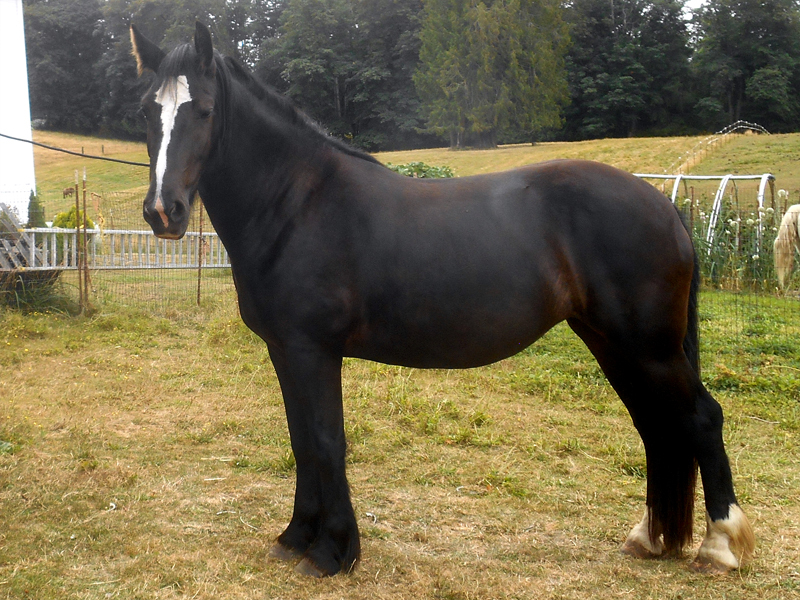 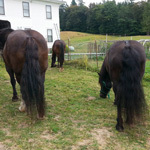 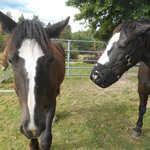 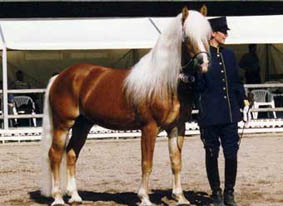 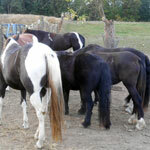 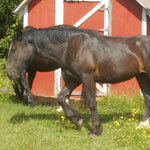 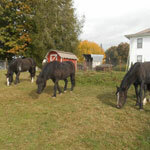 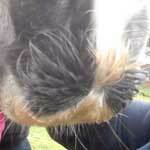 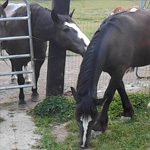 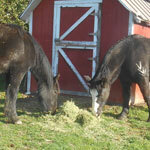 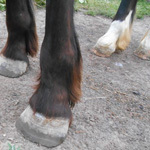 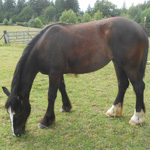 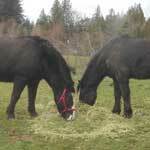 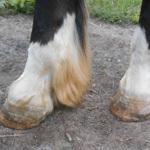 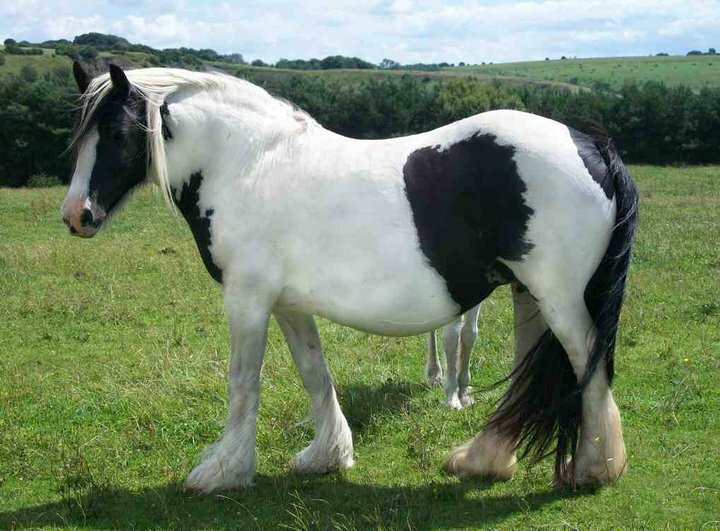 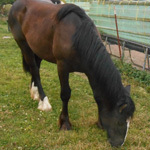 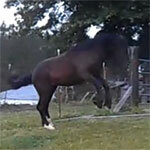 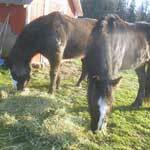 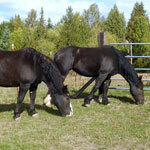 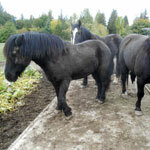 Her sire was a Gypsy Vanner stallion named Tango and her dam a big Haflinger mare named Dory. 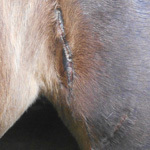 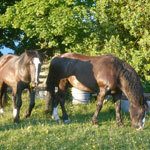 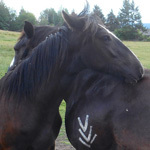 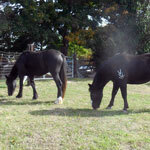 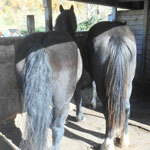 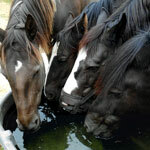 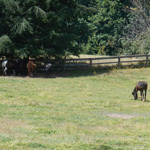 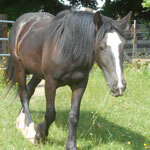 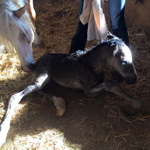 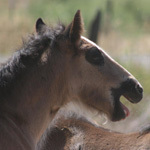 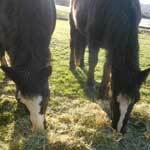 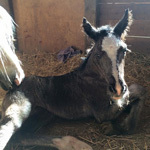 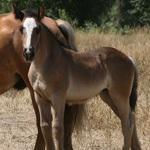 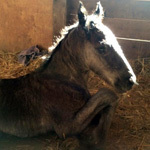 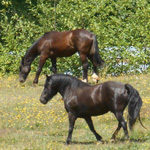 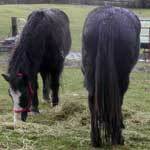 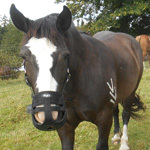 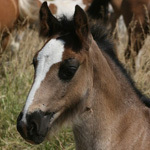 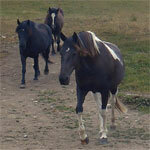 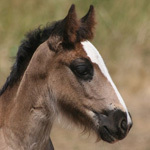 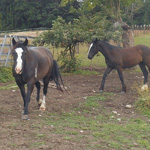 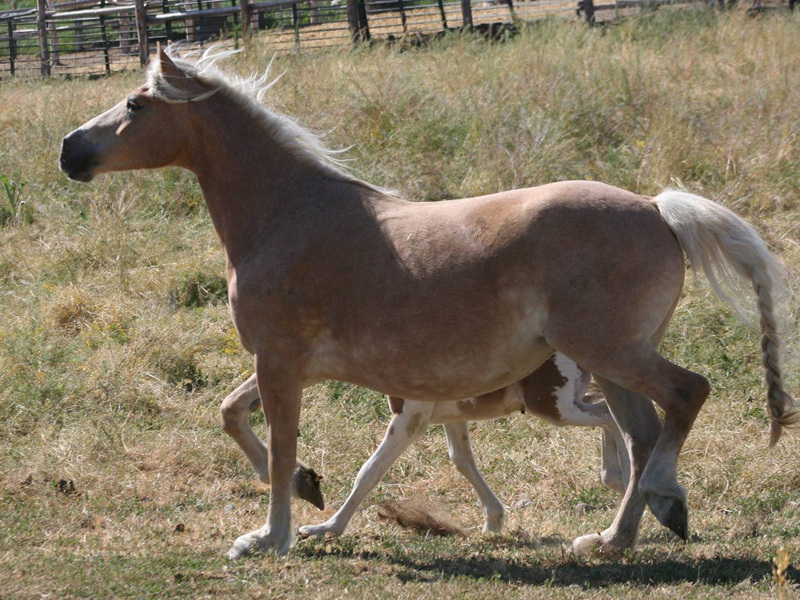 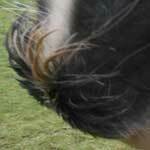 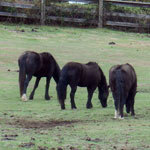 She was born in June at the start of a drought and grew up among a mare and foal herd of her half-siblings. 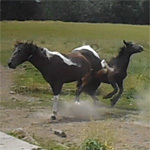 She was handled regularly and taught the baby basics. 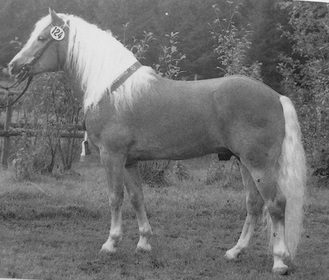 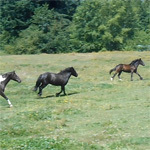 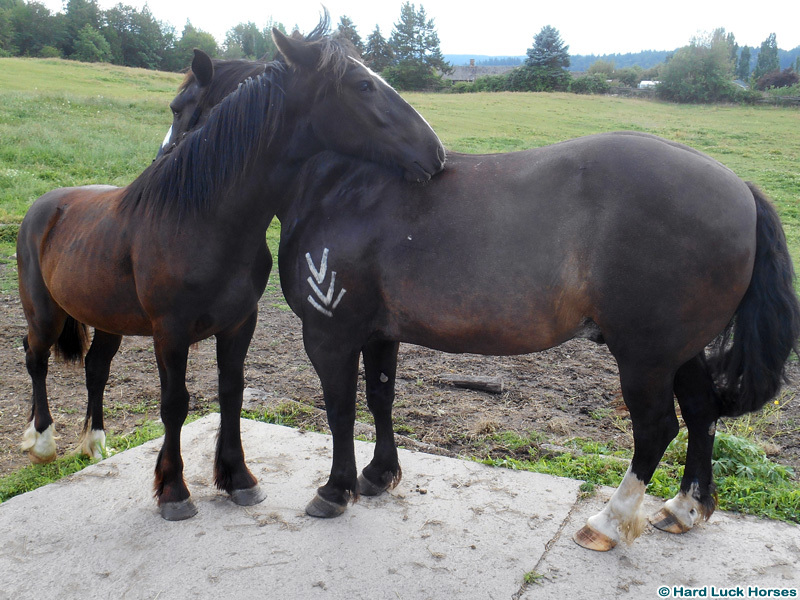 Her breeder had intended to keep her as a future broodmare, but ended up needing to downsize and so she was slotted for a select sale. 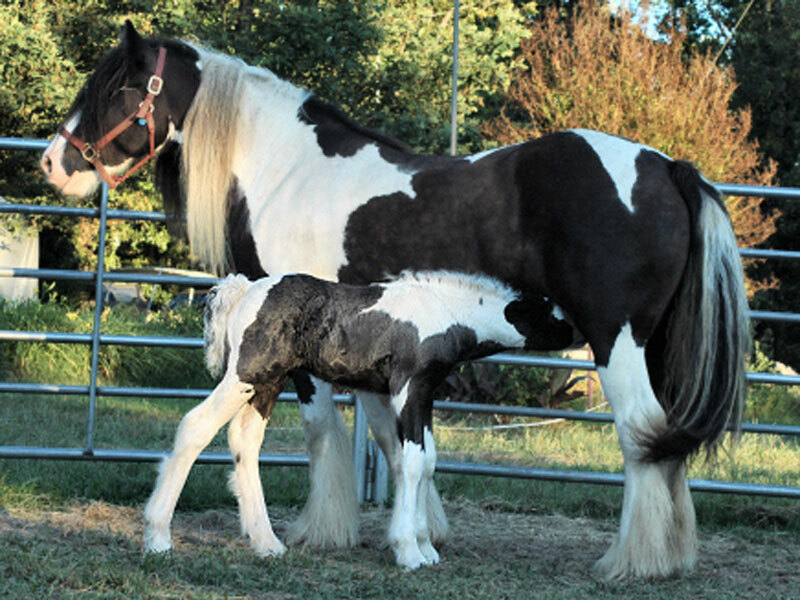 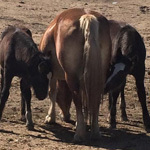 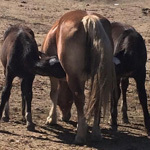 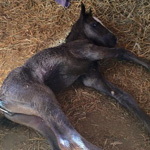 I had been looking for a foal who could one day take Archer's place and I was pretty particular about what I was looking for. 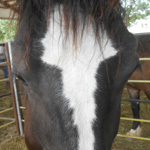 I wanted a small, fairly heavy, draft or draft cross. 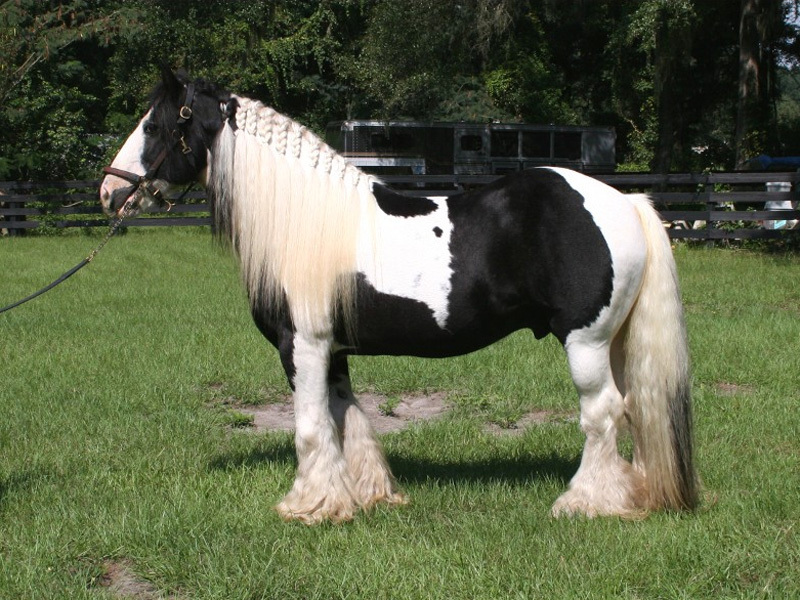 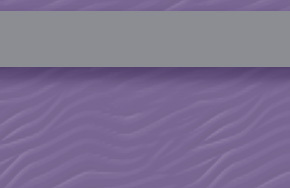 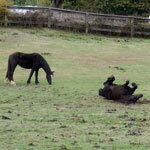 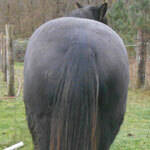 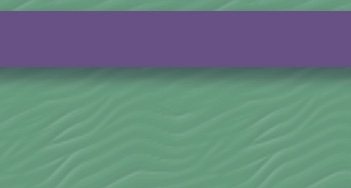 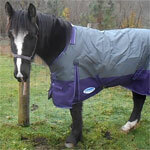 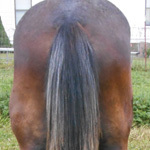 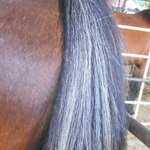 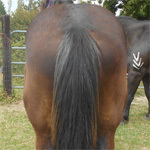 I preferred a mare, preferred black, and while I like feather I didn't want a ton of it. 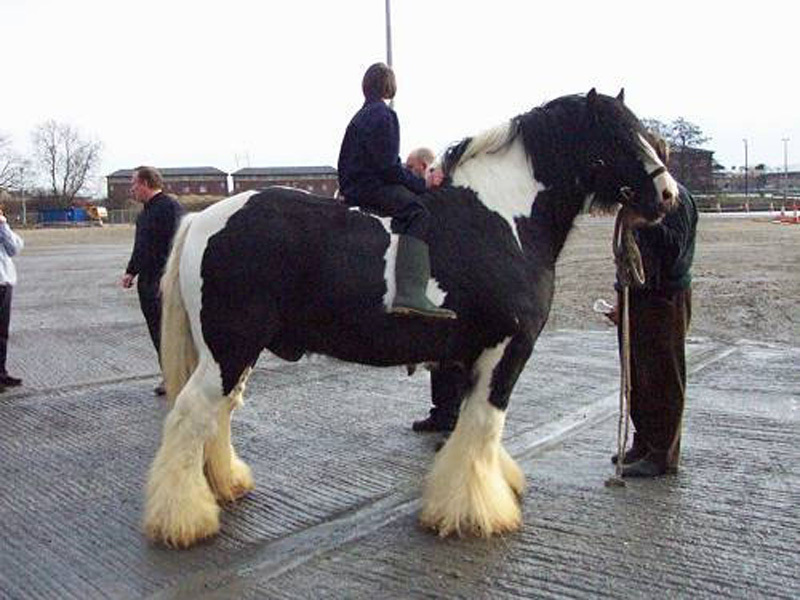 When I saw the notice for a Gypsy cross auction I knew I had to attend. 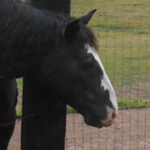 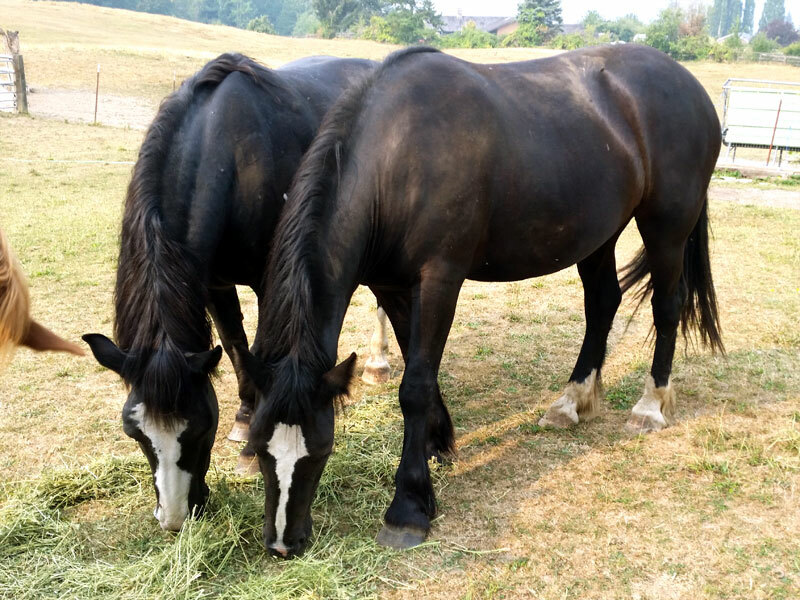 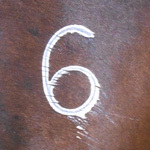 There were four horses there that I wanted to look at (all half-siblings), however once I met Shelta (then called Patience), I knew I was done. 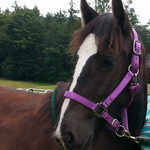 I bought her the next day and couldn't be happier.